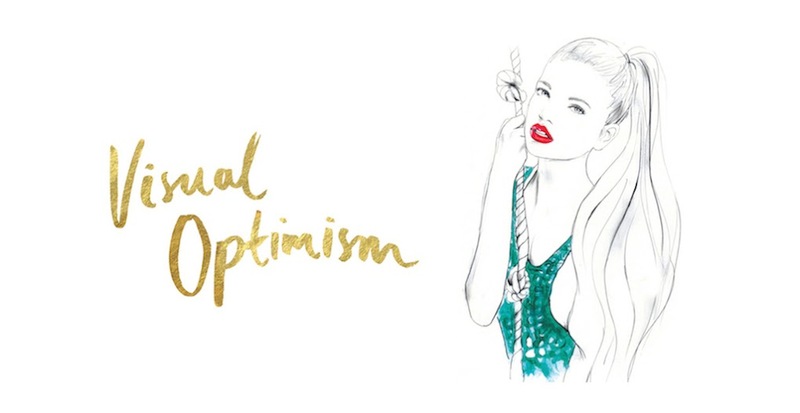 Creating the Hair Look at Kirrily Johnston x Cooper St Edit Spring / Summer 15.16 | visual optimism; fashion editorials, shows, campaigns & more! Backstage for Kirrily Johnston at Mercedes Benz Fashion Week Australia with Renya Xydis, Wella Professionals Ambassador. 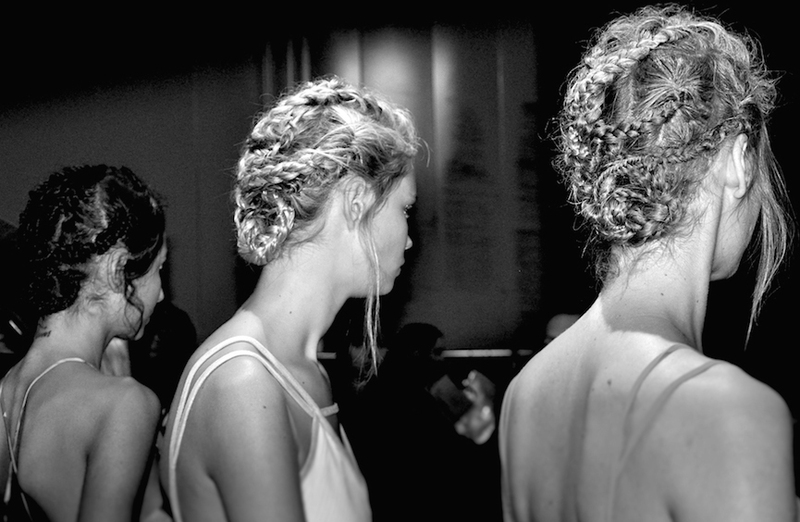 The hair look, created by Renya Xydis, Wella Professionals Ambassador, for the Kirrily Johnston x Cooper St Edit SS15/16 show was an intricately braided, Grecian goddess-inspired look. “We wanted to create softer, more feminine version of a gladiator style but with an edgy aspect. The texture of the hair style is matte and dry rather than tight and wet, and we've left beautiful, flowy tendrils so that when she moves, the hair moves with her. We've used a lot of Wella Professionals Ocean Spritz and Sebastian Drynamic Dry Shampoo to lift the hair from the scalp, before adding Sebastian Re-Shaper Hairspray to layer the textures and create grit,"
Renya Xydis, Wella Professionals Ambassador. Begin with freshly washed hair using SP LuxeOil Keratin Protect Shampoo and Mask. Liberally spray Wella Professionals Ocean Spritz into hair and roughly blow dry to create texture. 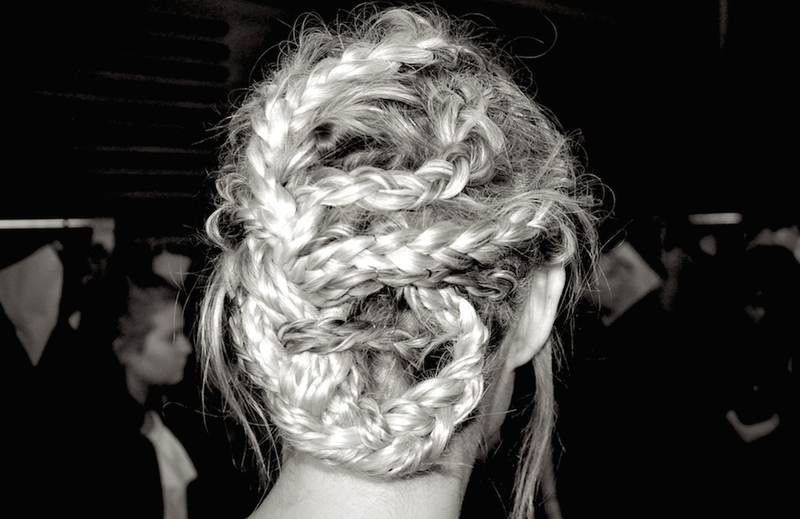 Create a centre part and spray Sebastian Drynamic Dry Shampoo into the roots before French braiding a 5cm braid on each side until you reach the crown, and then fishtail plait to the ends, spraying with Sebastian Re-Shaper Hairspray to seal. Repeat as above, creating two additional braids with the front sections of hair, leaving out soft tendrils around the hairline. With the lower half of the hair, create a mix of larger French braids and smaller fishtail braids to incorporate all the hair. Group the braids into three even sections and plait together to create one large plait, then loop the end around to the left and secure under at the nape of the neck with pins. 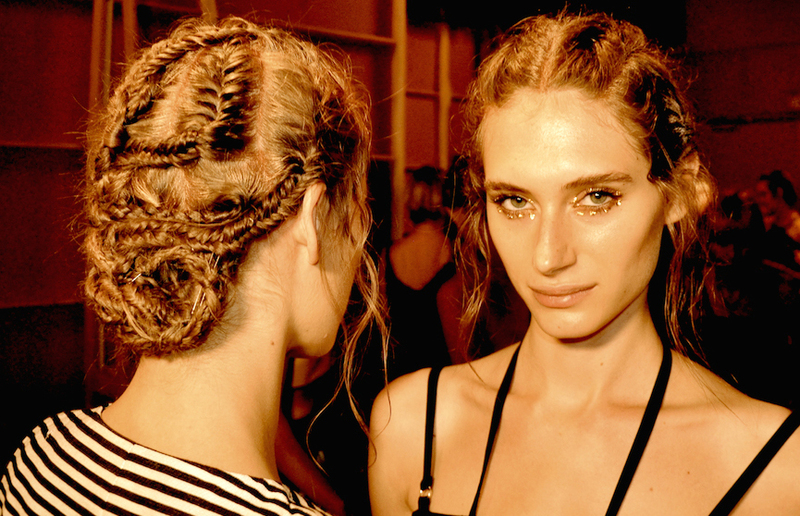 Working with the palms of your hands, manipulate and massage the braids to create an imperfect texture and messy style.